Avoid vias in bend areas-- Via should be avoided in bend as it can cause breakage on the flexible PCB when the stress applied goes beyond a threshold. Clearance between components and flex area-- It is important to maintain a gap of at least 100mil for components and bend area. When placed on a bend area, the solder on the component’s pin became the weakest point as it is not meant to be bent. Copper to edge clearance-- Like rigid PCB, you’re bound to have power and ground planes on Flexible PCB. 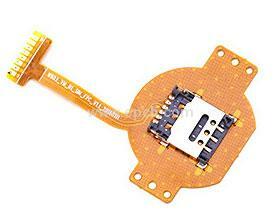 It is important to have a decent clearance between the copper area and the edge of the flexible PCB. Neglecting this important guide could result in the copper shorting at the edges when the PCB is cut. Ground plane design-- Cross hatch polygon is preferred for ground planes as it increased flexibility and reduce weight. Minimum hole size--Bear in mind that it is harder to drill on a flexible PCB than on a regular rigid PCB. Be sure to keep the hole size at a minimum of 10 mils for your design.